For those desperately in need of an escape, Paternoster is the perfect solution. This tiny town on the West Coast of South Africa is awash with stark beauty, few people and a simple, traditional approach to life. Located about 150km from Cape Town, Paternoster makes for a very convenient weekend away. It's close proximity to the city means that 9-5ers can easily pack up after work on a Friday and arrive in time to catch the spectacular sunset. The town's appearance is one of uniform white-washed cottages, either the original fisherman's cottages or modelled on that style. Many of the roads are gravel and much of the traffic pedestrian. Paternoster is very quiet, with the rowdiest scenes going down in one of the restaurants during a Saturday afternoon rugby match screening. For the most part, the only sounds you will hear are those of waves lapping the long, white shoreline, people chattering or hawking fresh fish and the odd vehicle crunching over the gravel. It is the perfect destination for those wishing to do as little as possible. However, if you are more of the active type, Paternoster will oblige. Being one of the last remaining traditional fishing villages on this coast, the beach and ocean obviously take centre stage. Paternoster's beach is regularly lauded as one of the most breath-taking on the West Coast and provides kilometres of soft white sand to traverse at your leisure. Three kilometres from the town lies the Columbine Nature Reserve where the beach is in pristine condition. The nature reserve is also home to the Columbine Lighthouse, and if you visit between July and October, the selection of spring flowers covering the coastline will surely entrance you. Nearby there are plentiful hikes to be tackled and the Fossil Park will engage your imagination as you ogle the remains of giant ostriches and mega-tooth sharks. For those with sturdy sea-legs, kayaking in the bay is very rewarding, owing to the whales, dolphins, penguins and seals which inhabit the waters. On the subject of wildlife, a number of bird hides dot the coast, enabling prime viewing of the seabirds in the area. As for restaurants, the selection is small, with the most popular being the Voorstrand Restaurant - a green and red tin structure right on the beach, with views to die for and a very unique bar. Another plus for many is the pet-friendly nature of Paternoster hotels, and self catering establishments. The whole family can holiday together in the most inclusive sense of the word. If you're looking for the perfect seaside break, stay in Paternoster! A quick look at our website will give you the information you need to make your choice. 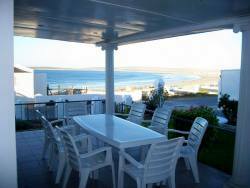 You will find reviews and you will also be able to compare prices and find wonderfully affordable accommodation in Paternoster. Are you planning the perfect getaway but have not yet found your ideal Paternoster accommodation? By using our easy website, you can find great accommodation of all types, whether it is a cosy bed and breakfast or a comfortable lodge. We have thousands of easy to find listings for self-catering facilities, holiday homes, guest houses and hotels as well as backpackers, chalets, caravan facilities, villas and apartments, giving you a wide variety of options when it comes to your accommodation in Paternoster. To help you find the right place to stay, we have a number of tools that you can use, including a map. This will help you to pin point exactly where you will be staying and it will show you the accommodation facilities that are closest to where you will be. Regardless of the reason for your visit to Paternoster, we can guarantee that you will find the type of accommodation you are looking for. But reviews for Paternoster accommodation is not the only information you will find. Want to know if your Paternoster accommodation is pet-friendly or allows smoking? All of that information is included on the listings page. You will also be able to find which activities are on offer and the sort of amenities included with each room. All of this information will help you to make an informed decision before you make any payments to, giving you more peace of mind about your choice. 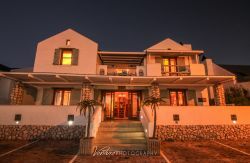 We include all of the contact details of the self-catering accommodation, holiday homes, guest houses and hotels as well as backpackers, chalets, caravan facilities, villas and apartments in Paternoster which are featured on this website, so you also have the option of getting directly in touch with the place. 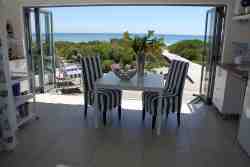 Regardless of where you are staying, we feature Paternoster accommodation in that area of the province. 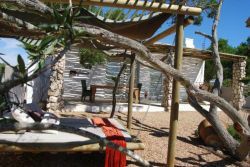 You have options of Paternoster guest houses, lodges and bed and breakfasts, among others, ranging from your more affordable, lower prices to your more luxurious options. So, you are not visiting for a holiday but rather for business and all you need is a place to stay for a night or two? The bed and breakfast options, as well as the lodges, are generally preferred by business people and you will find all types, from your more luxurious lodges to your simple, self-catering bed and breakfast. Each will give you a safe roof over your head while you are in the province. 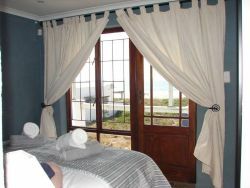 Paternoster accommodation is not only affordable but well situated. If you are doing business in this area, this is a great accommodation choice. Spending more than a few days in the province? Perhaps you are indulging in a tour of the region and you are looking for a few places to stay? 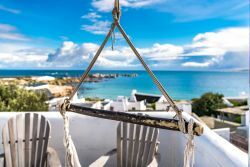 Browsing through our listed self-catering accommodation, holiday homes, guest houses and hotels as well as backpackers, chalets, caravan facilities, villas and apartments in Paternoster will give you all of the information you need to make your selection. And once you have found the ideal place to stay, you can either request a quote or make your booking directly on this website. Sleeping-OUT.co.za is designed to make finding and booking accommodation in Paternoster easier than your traditional methods of sourcing a place to stay! 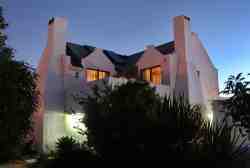 We include some great accommodation special deals in and around Paternoster. Thank you for the amazing prize, I am overwhelmed that I have won as this is my first time. 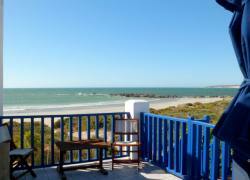 55 reviews of Paternoster Accommodation. Great and relaxing West Coast town. Paternoster has a serious security issue - it's really sad and it makes for an uncomfortable stay. Being so close to the beach we had guys coming off the beach hassling us to buy mussels and shells etc - this small coastal town is certainly not what it used to be and I'm not sure I'll be coming back or recommending it to anyone. Suggest no more than 4 or 5 day stay. We always enjoy Paternoster but crime is definitely becoming a bit of an issue. Burglar alarms everywhere. Drunk guys selling undersized crayfish etc. Still enjoy it but just have to be more careful.